Nick gives his thoughts on the Fed, global concern, and many other factors. An in-depth look as to what is possible for gold. 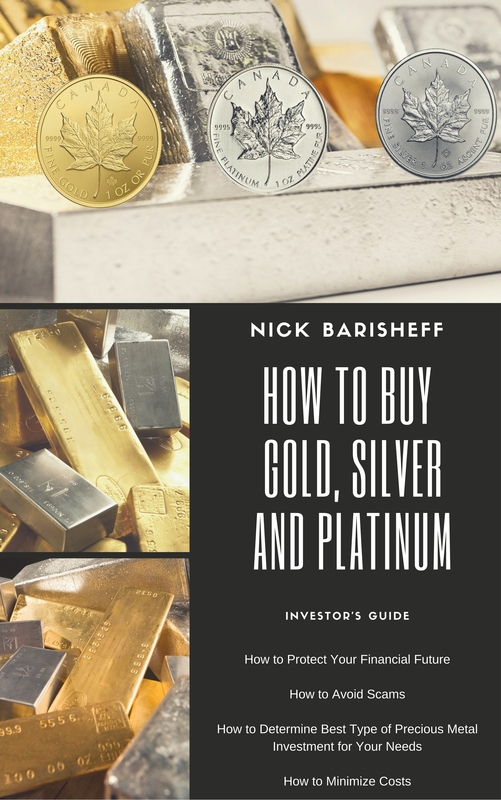 Nick Barisheff is an expert on the world of precious metals and has appeared on BNN, CBC and CNBC. He is the President and CEO of Bullion Management Group, which purchases equal dollar amounts of gold, silver and platinum bullion in an open-end mutual fund. 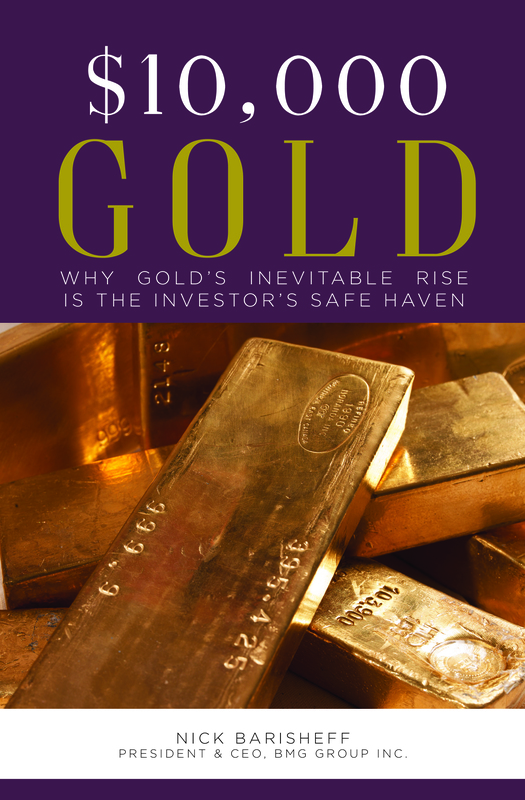 Nick is also the author of $10,000 Gold: Why Gold’s Inevitable Rise Is the Investor’s Safe Haven. I was contacted by Nick’s public relations manager and conducted a phone interview on 5/16/16. Below is the Q&A between Nick and I.
Spiro Nanakos: What is your opinion on the Fed? Do you think rates will be raised again at all this year? Nick Barisheff: Well, it’s always a possibility; you can never tell what their thinking is. But it makes no sense to raise rates. The global economy is teetering on recession, there’s a number of countries that are essentially failed states, a number of countries that are in a full-fledged depression. This “cosmetic” quarter point raise doesn’t look like the Fed is in a good position to raise rates. Other economic indicators are continuing to go down, so I can’t see any justification except for some very small move to show they can raise rates. Spiro Nanakos: Even if the Fed decided to surprise us and raise rates significantly, what impact do you think that would have on gold? 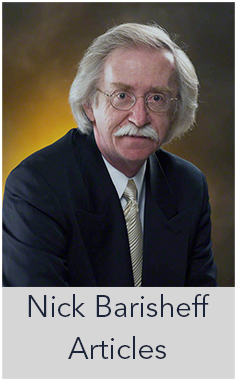 Nick Barisheff: Well, you have to go back to the 70s. During the 70s, the gold price was rising and so were interest rates, but we didn’t get to positive real interest rates until Volcker took them all the way to 18%. So we are long ways away from any real interest rate, never mind 18%. I don’t think they can even go to the historic mean of 5%. Just the U.S. budget deficit would alone go nuts, and never mind all the ripple effects. I can’t see they’re in that kind of position to do any meaningful raising without having huge impacts on the markets and economy globally. Spiro Nanakos: Investors seem to be cautious of Janet Yellen’s statements, should they even consider the Fed’s outlook at this point? Nick Barisheff: I think more and more people are losing confidence in the central bank’s ability to manage monetary policy. So, they’re kind of running out of things to do. And I think rather than raising rates, we’ve got an equally, if not more risky situation of adopting negative interest rates, as they have in a number of European countries and Japan. Spiro Nanakos: This leads us into my next question. Do you think Janet Yellen would ever follow through with negative rates in the U.S.? She said they’re not off the table. Nick Barisheff: You have to look at the difference to what is stated publicly and what in my view, has been the plan all along, which is to go to a cashless society. When you impose negative rates, you have to create currency controls and eliminate cash. Otherwise, people take the money and put it under their mattress. So you have to implement both at the same time and we are kind of moving in that direction. In Europe, they’ve eliminated the 500 euro note, and there’s talk of eliminating the 100 US dollar note. Spiro Nanakos: We’ve been in a bull market for quite some time, when do you think it will end? Nick Barisheff: I think it has ended already. I did a speech at the Empire Club in January titled “Sell High, But Low” and I referenced a number of traditional indicators of markets. So if you look at the Buffett indicator, the markets have about 123% in terms of valuation. The Shiller PE index is at 25 when the mean is 16, you have those traditional methods which are overvalued, and then you add margin debt which is at record highs at 100 times. And you have the makings for a massive correction. Now, the only thing holding up the stocks are the FANG companies and they’ve all turned, Apple (NASDAQ:AAPL) has turned. If you look at the previous highs whether it’s 1929, or 2000 or 2008, you have the same thing happening. You get a peak, then about a 10-15% decline, then you get an upward correction, but the upward correction doesn’t go past the previous peak. It’s at that point where it reverses, and that’s where we are at now. Spiro Nanakos: U.S. corporate profits have been weak for the most part and some analysts believe we are experiencing a “profit recession.” What’s your opinion? Nick Barisheff: If you look at Facebook (NASDAQ:FB), they provide a nice service but it means nothing unless something is bought because they’re just eyeballs on a screen. They had a great quarter, but this is no different than the 2000 tech stocks, the valuation of these stocks is ridiculous. And eventually, we are going to get to the point where it becomes an actual recession, not just bad profits. Spiro Nanakos: Gold being the safe haven asset, what geopolitical tensions do you see that could drive up the price of gold? Nick Barisheff: Well, there’s so many, this question could take a half hour alone. But some important highlights like, we are getting to a point on the Comex where someone thought it was a good idea to sell over 2 billion dollars of naked futures contracts and the price went down 10 bucks. A normal trader never does that – if you’re going to sell 2 billion dollars’ worth of gold, you’re going to feed it into the market. This is done for the purpose of getting the biggest correction possible. Now the Comex is at the point where it has 500oz of gold and 500oz of paper for every ounce of gold. In the past, it was considered vulnerable at 25 ounces of paper to one ounce of gold. Now it’s simply absurd. So at some point in time, there’s going to be a Comex default and it’s going to drive the price of gold up and it will be discredited. At some point in time, many people don’t realize there’s going to be a divergence on the Comex price and the physical price. This happened in 1998 when Ford Motor Company bought several billion dollars of platinum at twice the spot price. The reason being, you can’t make cars without catalytic converters and you can’t make catalytic converters with paper platinum. So you get these anomalies with the ridiculous paper market. I mean, the whole concept of allowing naked shorting on any market is absurd. Imagine what would happen to the equity market if people could do unlimited naked shorting when they don’t even have the stocks to short. So that’s one factor. The second factor is that the relationship between the U.S. and Saudi Arabia is deteriorating. In the 70s, the U.S. and Saudis cut a deal that the Saudis would price oil in U.S. dollars and the U.S. would provide security for the royal family – that was the deal. Now that things are deteriorating I think in the not-too-distant future, Saudi Arabia is going to price its oil in something else, and then the whole issue of the U.S. dollar being the world reserve currency ends and the U.S. becomes a third world country overnight. The rest of the world has to work and deliver commodities or make finished products and the U.S. prints money to buy them? That’s it? The rest of the world is getting fed up with that, particularly the BRIC countries and specifically China and Russia. So they want to move away from the U.S. dollar. The IMF already has the FDR and the IMF wants the FDR to become the world’s reserve currency. And it’s moving in that direction, it’s no secret; they’ve made that public. The Chinese Yuan is going to be part of the FDR basket this fall, it starts at 10% but when China announces their real gold holdings is an excess of 4,000 tons not 1,600, they’ll have more gold than the U.S. which is stated to have 8,000 tons. When China makes that announcement, they’ll have a more meaningful allocation to the FDR relative to the size of their economy and they’ll need to add gold to their reserves in much greater amount, which is what they’re doing. It’s in their interest to keep the price of gold down while they’re buying. So those are two major things, but we don’t need a catastrophic event or trigger event. What’s happening is that the debt in the western world is rising beyond any sustainable levels. The price of gold and the amount of debt that the U.S. has was correlated until this artificial correction in 2012. So right now, if that correlation were to continue, gold would be north of 2,000 an ounce right now. 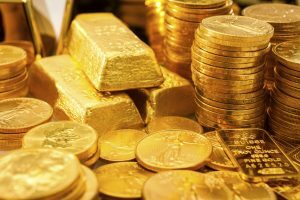 Spiro Nanakos: Why do you think the price of gold isn’t higher at this point? Does it have to do at all with profit taking etc.? Nick Barisheff: Well it’s not profit taking, it’s obvious manipulation. When someone’s dumping 2 billion dollars worth of naked futures contracts today (5/16/16) that isn’t profit taking. And this happens again and again and again. And this is where the technicians get it wrong because if they think the fed or manipulators don’t have technicians on their side, to say well “the chart looks like it’s gonna do this” and then they re-paint the charts. What good then is the technical analysis? This isn’t a normal market. If it were the S&P 500, it would be more difficult to manipulate. This is one product and the ability to manipulate it exists on the Comex where you don’t need any gold whatsoever. Spiro Nanakos: What is your opinion on gold miners ETFs versus physical gold? Nick Barisheff: As far as I’m concerned, the ETFs are a giant Ponzi scheme, and you have to read the prospectus and the underlying agreements to understand that. So we (Bullion Management Group) have two mutual funds, as well as dealing bullion bars. In an open-end mutual fund, investors send the money to the administrator of the fund and we buy gold. That’s not how an ETF works. An ETF has authorized participants that contribute a pre-defined basket to the ETF. When they contribute to the basket, they are given newly issued shares that they then sell to the public. So when they sell those shares they get to keep the money. And the public thinks, “oh look low management fees” and it’s not about low management fees. The thing that isn’t understood is that the authorized participants borrow the basket of assets to contribute the ETF. And this is done with all ETFs: equity ETFs, bond ETFs, commodities ETFs, it’s all the same structure. Because you have to be very naïve to think that Wall Street is going to go to the market, buy gold, and give it to the ETF at net asset value. The ETF is going to give shares at net asset value and you’re going to sell those shares at net asset value, and all you’re going to make out of that is commissions? You really think that’s the way it works? So the ETF is meant to be a trading vehicle so you can conveniently trade the ETF instead of futures contracts 10 times a day if you want. But it’s not about owning gold. At some point in the near future, some authorized participant, somewhere in the world, on some ETF is going to become insolvent. So then you’ve got the lenders of the asset and the ETF. Now, generally this all started with equity ETFs and the brokers have always been able to use their client’s assets in the margin accounts to lend them to short sellers. So the client doesn’t even know that’s happening. They do the same thing when the broker is the prime broker, say, for a hedge fund. So one way or another, the assets are borrowed. Then, if the authorized participant fails, who owns the asset? The people that unwillingly loaned the asset or the ETF? So that’s where the lawyers get rich figuring out who the owners are. In the case of gold, its different because when you lease gold from a central bank, which is likely where the leasing is taking place, title to the gold legally remains with the central bank. That’s why it’s called leasing, which is absurd. You can’t sell a car when it’s leased but they do it with gold. The issue becomes when you need gold the most, and that’s when there is the highest risk of failure for the participants and the ETF. Then you end up with nothing. Real gold costs you money to store and insure it. It’s not as simple as a management fee. Spiro Nanakos: What do you expect to happen to the strength of the dollar? Will this hurt or help gold? Nick Barisheff: In the event of some weakness economically that causes the overall economy to go under, most people around the world flood into the U.S. dollar. This is because it’s highly liquid in a large market and after they do that, they allocate to gold. So they might move their equities or currencies into the dollar first and gold second. You have situations where the dollar goes up and gold goes up. But generally speaking, they are negatively correlated. Eventually, the dollar goes into oblivion once it loses it reserve currency status. What’s it worth? Stock pricing, and oil are in dollars, if that happens, it’s all over. Spiro Nanakos: If we were able to get to 2% inflation, what impact would this have on gold? Nick Barisheff: Well let’s talk about reality. House, food, education and medical costs going up double digits for most people, that’s already inflation. Right now, inflation is running at about 8%. So, if you’re earning 500k a year, the inflation to you isn’t significant as to someone making just 50k a year barely making ends meet. There used to be a fixed basket of goods, and every year you would measure, let’s say one of them steak. So you measure the price of steak and each year you would see the inflationary price increase. What they do now is say “well, people have switched from steak to ground meat” since they can’t afford steak anymore. And magically we have no inflation. This was done on purpose because the cost to social security, which is inflation adjusted, would be in the hole many times higher than it already is if you dealt with inflation honestly. Spiro Nanakos: How has U.S. debt been affecting gold prices? Will the gold standard ever be considered again? Spiro Nanakos: How do you think the rise of online money transfers and online payments will affect gold demand among a new generation of investors? Nick Barisheff: Well, they’ll eventually get it, but at what price? I’ve got a son and daughter that are millennials, and the problem is they’ve had very little education in terms of history, let alone monetary history, they have no idea. So now, even without getting into the gold discussion, there’s a huge vulnerability in terms of this cashless society. The millennials are all happy with paying on their iPhones, credit cards and debit cards and so on. But the system has huge technological vulnerabilities. There have been hackers that have gone into the central banks, and so on. You can have a massive hack, or massive software failure. Your bank account doesn’t work, your credit card doesn’t work, the ATM doesn’t work and you have no cash. What are you going to do? And that’s not even talking about gold. So the amount of actual cash in existence relative to digital cash in existence is highly vulnerable and people have no conception what it would be like if those pieces of plastic failed to work. Spiro Nanakos: Nick, thank you for your time. I appreciate you conducting this interview.